Alix and Vinnie of San Francisco, California were looking for a clean, formal, modern, and sophisticated design. They liked the idea of a square save the date and invitation, which would make this custom piece really stand out. The design plays off the letterforms of A&V and how they compliment each other. 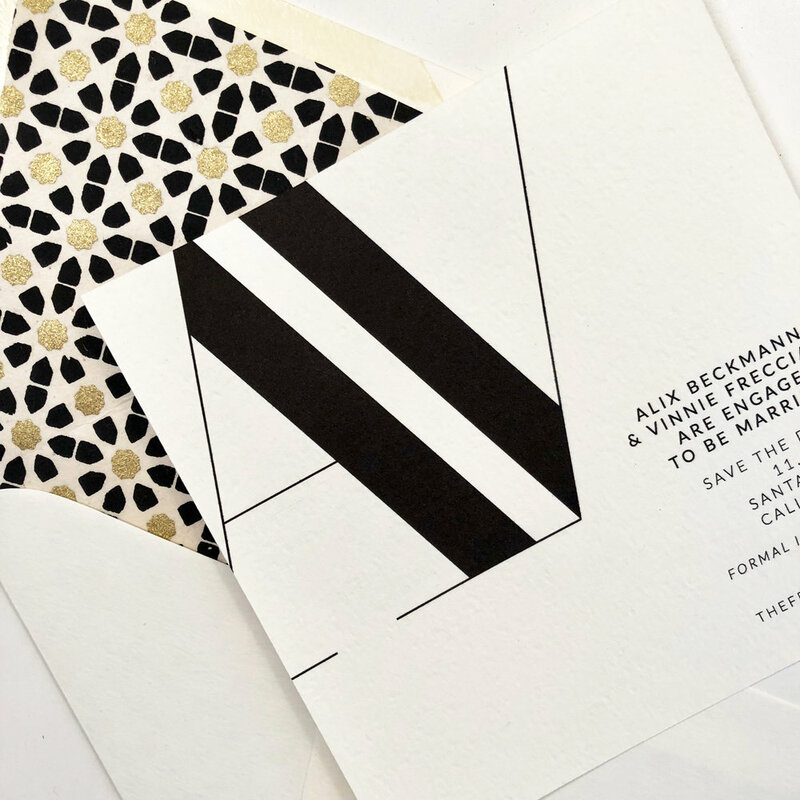 The intentional cropping off the edge on the save the date creates dynamic interest while leading your eye into the piece. The invitation was set up to be slightly more formal and incorporated simple illustrations that tied into the fine lines of the overall design. Caroline and Tim’s wedding suite incorporated a soft, semi-casual, modern design for their Milwaukee wedding. 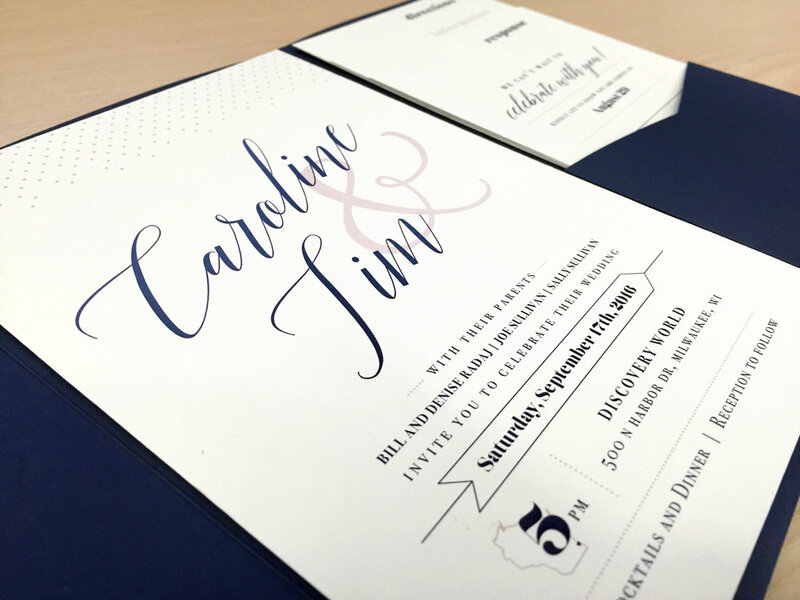 The invitation was encased in a navy envelope folder which also held direction, information and RSVP cards on champagne-colored paper. I integrated small blush accents and illustrated elements to amplify the celebratory text. For my personal wedding suite I focused on typography paired with whimsical bird elements. I also enjoyed coming up with a unique design and construction for the invitation which included multiple tabbed layers giving additional information and directions. For the reply I came up with a postcard that had a fun little mad lib for our guests to fill out. We got some great responses!